The United Kingdom will hold a military parade in London and bask in memories of the Empire that once spun the world. In the USA, President Obama will give a speech about how America has always come to the rescue when world peace was in danger, trying to forge some connection between events 100 years ago and his Nobel Peace Prize. Republicans will blame Democrats for not having intervened in World War I early enough. The Tea Party will blame President Obama personally, arguing that it has not yet been proven to their full satisfaction that he was not yet alive back then. The Department of Veterans Affairs will promise to speed up work on the backlog of World War I veterans’ applications for medical assistance after their return from battle. France will hold a military parade in Paris. 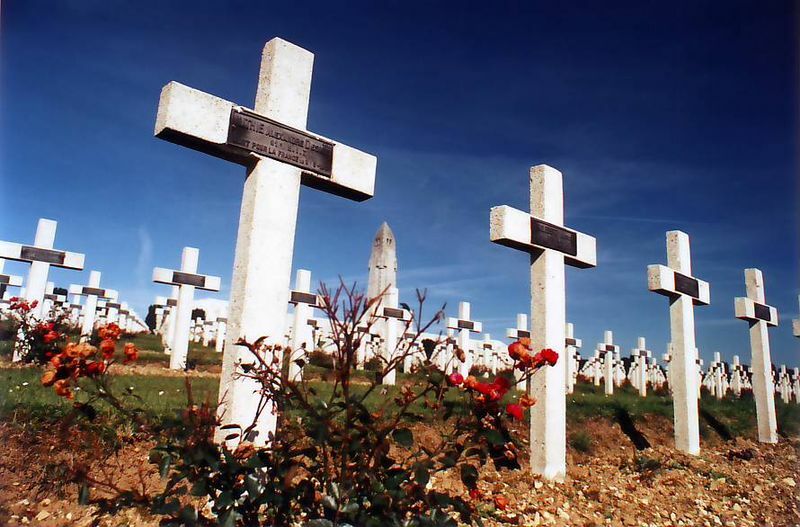 To separate memorial events at a military cemetery near Verdun, France will invite a delegation from Germany to remind them of what would happen to German soldiers if they ever invaded again. Better safe than sorry. Germany won’t have any celebrations, but its politicians will find the anniversary of World War I very useful for their pacifist arguments against intervention in Syria, Ukraine or elsewhere. Russia will invade a neighboring country. This entry was posted in France, Germany, History, Military, Russia, UK, USA and tagged World War I. Bookmark the permalink. Love the sting at the end and the twist in the middle.